Hi - Happy Memorial Day! 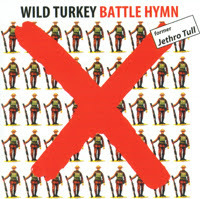 First album from Wild Turkey, which was formed by ex-Jethro Tull bassist Glenn Cornick, who also played some guitar and keyboards and wrote four of the songs. Vocals are by Gary Pickford-Hopkins, ex-Eyes Of Blue. Unlike Blodwyn Pig, Wild Turkey manages to not sound much like Jethro Tull. The album is a mix of great early 70's style progressive hard rock with some softer rock with folky touches. Good songs (this version has 2 live bonus tracks) well played - nothing fancy, just good solid rock. 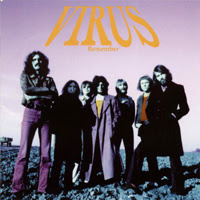 Virus was a German band that played a straighforward brand of psychedelic hard rock. This performance recorded for WDR Radio in 1973 included I think only one song (King Heroin) from either of their studio albums, "Thoughts" and "Revelation". Also by the time of this show there had been significant personnel changes, that's probably why they were doing so much unreleased material. Most of the tunes are driven by some great electric guitar and saxophone playing - I wish this version of Virus had recorded a studio album. 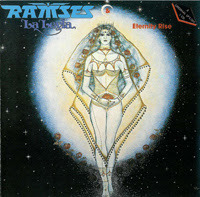 2-on-1 CD with a couple of great albums from German symphonic prog band Ramses. Eternity Rise sounds a little more 'sophisticated' than the earlier La Leyla, but both are real good albums, each in their own way. Bits and pieces here and there bring to mind other, more well-known, German prog bands like Anyone's Daughter, Eloy, Novalis and Jane. Well written songs, a first-rate vocalist (sings in English), excellent lead guitar and loads of warm sounding analog keyboards with a tight rhythm section all add up to a good listen. 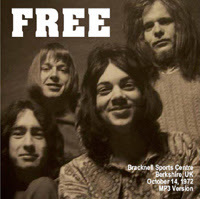 Great sounding bootleg by Free, from a performance at the Bracknell Sports Centre, Berkshire, UK, October 14, 1972. Paul Kossoff is on hand, and sounds brilliant. I think I got this from Big O Worldwide, so thanks to them. This is a collection of demos by Buckingham Nicks recorded between 1970-1973. They are called the "Coffee Plant Demos" because Lindsey Buckingham and Stevie Nicks used to record in the basement of Lindsey's father's coffee plant before they went to LA to get a record deal. However, that seems to be a bit of a misnomer because both "Sorcerer" and "Garbo" were written after the couple arrived in LA. Regardless, these are wonderful quality demos. While some of these songs were released later by Stevie Nicks or Fleetwood Mac, the gem 'Without You', the aptly named 'Cathouse Blues', and the quaint 'Goldfish and the Ladybug' never made it off the shelf. Authorship is not documented in those cases, but although 'Without You' may have been co-written, it is probably safe to say the others were penned by Stevie Nicks.. It is to be noted that some of the songs have more than one version, the differences between these versions seem to be mainly which instruments are brought forward in the mix (as indicated in the titles). All in all, these tracks represent an excellent collection of music from Buckingham Nicks, and a taste of what could have been, had they not joined Fleetwood Mac. 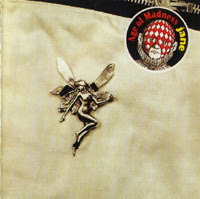 Jane's eighth album was the first to be recorded in their own studio, but from a progressive-rock point of view, this may not be their best. Nonetheless, a thoroughly enjoyable album that stays close to their roots - Floydian hard rock, romantic and melodic. As usual Klaus Hess's guitar playing is fantastic, and a visit from Eloy keyboardist Manfred Wieczorke helps the proceedings along. 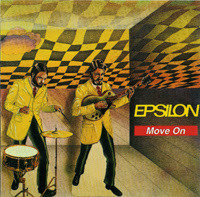 Epsilon started out as Germany's version of "The Nice" - their first album (Archives - Feb. 2006) has classically influenced keyboards all over it. On this, their second and best album, they are now Germany's version of "Traffic"! Much more song-oriented, a lot more guitar, slightly jazzy, with great soulful vocals from Michael Winzkowski (ex-Nosferatu, Orange Peel). This is surprisingly good. A great cover of Dylan's "She Belongs To Me". Hey! - The blog is still here! Blogger changed my settings for some reason, not allowing reader comments - all fixed I hope. OK first of all this is the British Amon Düül, despite saying on the artwork that it is Amon Düül II. This is bassist Dave Anderson, who played on the first two ADII albums (Hawk), and guitarist John Weinzierl, who also played with ADII (Penguin). I don't know who else was involved on this. Consisting of only two pieces, this sounds like it could be a throwback to the early days of krautrock, from 10 years earlier. A lot of this will sound like noise to some, and maybe a little annoying too! Seems largely improvisational, but there are sections that sound composed, and they are very good, and measure up to anything from the early days of Amon Duüü II. Be aware though - not for everybody. 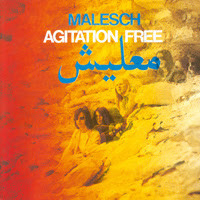 The first album from Agitation Free is a classic of early krautrock. There are short bits of Arabic music between some of the the tracks, and some of the material has a Middle Eastern flavor, but this is largely superficial. This is pure spacerock - cosmic, moody, atmospheric, and sometimes droney. A series of soundscapes that sometimes sound like jams, sometimes like complex arrangements - only the best musicians could pull this off. The whole thing sounds very original, restless and impulsive. This is an essential album for any krautrock fan. Their self-titled album was brilliant, and this material for a supposed second album was never released until 1990, though I am not altogether clear on when the material was recorded. Most sources say 'early seventies', 1971, one says 1976 - I think that's wrong though, this has early seventies written all over it. Whatever, this is some great stuff. This is some fine hard rock that has a mature sound that belies the age of the guys making the music; supposedly they were only 18 or so at the time. Brilliant guitar, backed up by some very able bass and drums. This stacks up well against most of the better-known British band of the period. Too bad this wasn't released as a follow-up to their first album when it was recorded - these guys might have had quite a nice career I think. I mean, look at Budgie - Clear Blue Sky was every bit as good, and Budgie is still around! Although, 1971 was a tough year to get noticed probably. Lotsa good stuff got released that year. That's the way it goes I guess. Man - these old farts are still going at it, and they still got it goin' on!! Holy Jeebus these guys are good. The first half of this is good old fashioned Guru Guru; anarchic, experimental music played by great musicians. 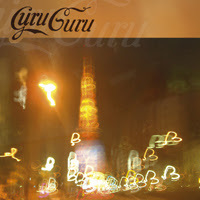 The second half of the CD is the "Guru Lounge Suite", Guru Guru's version of retro lounge jazz - anarchic, experimental music played by great musicians - you get the picture. 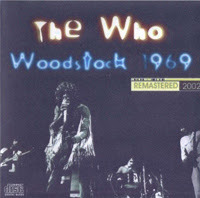 On August 17, 1969 The Who took the stage at Woodstock - it was 3 o'clock in the morning. Man that must have really been something. Anyway, this great sounding bootleg has 21 tracks from their performance. 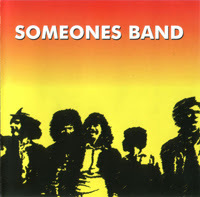 There's not much information available on this obscure UK band. A mixture of material that ranges from bluesy to 'heavy prog'. Good musicianship, tasty songs, and a great vocalist - there's a couple tracks, you'd swear you were listening to Steamhammer. 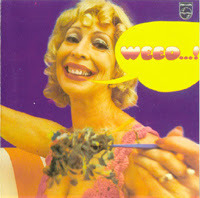 Edit: Got an e-mail from "M' with just a little info on this release: "the album was issued in 1970 – on Deram. The catalogue no. was SML 1068. The musicians to the four piece band were Buckley (main writer), James, Coxen and Martin (first names are not noted on the original album). The production was undertaken by Steve Stevenson. The engineer was Mike Cooper; the black and white single sleeve was designed by Dave George (whom I believe worked at Decca as an in house designer)." 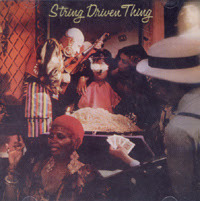 - Thanks M.
String Driven Thing was a group from Glasgow, and their first major-label release was a brilliant, though uneven, effort. A mix of folk, soft ballads and rock, and some very early electric folk - the guy sawing away on the violin is Grahame Smith, later of Van Der Graaf Generator. A couple tracks sound downright progressive. The best track in my mind is "Circus", whick is a real rocker that has an almost punk thing going on. In between "Salisbury" and "Look At Yourself", Uriah Heep guitarist Ken Hensley went to Germany and made this album with the German band Virus. 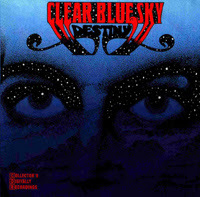 Pretty much straightforward progressive bluesrock, this thing starts with a sonic blast and barely lets up to the end. Virus was a great band in their own right - check the archives for "Revelation", posted September 2005, and "Thoughts", posted April 2006. OK then - see ya.